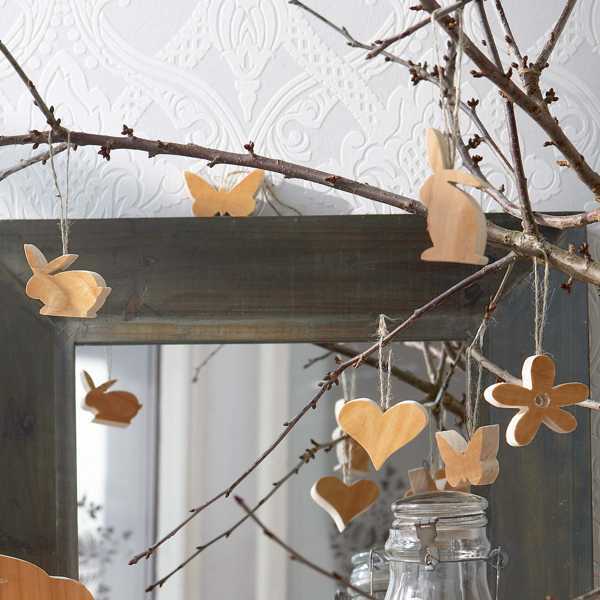 Easter tree decorations that are handmade with natural materials are a great, contemporary and eco friendly alternative to commercial Easter ideas. 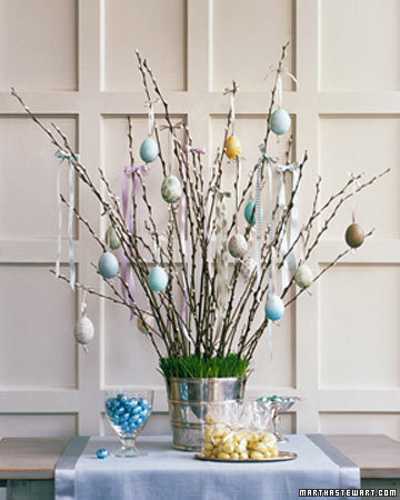 A small Easter tree makes a gorgeous table centerpiece for dining table, side table or coffee table. 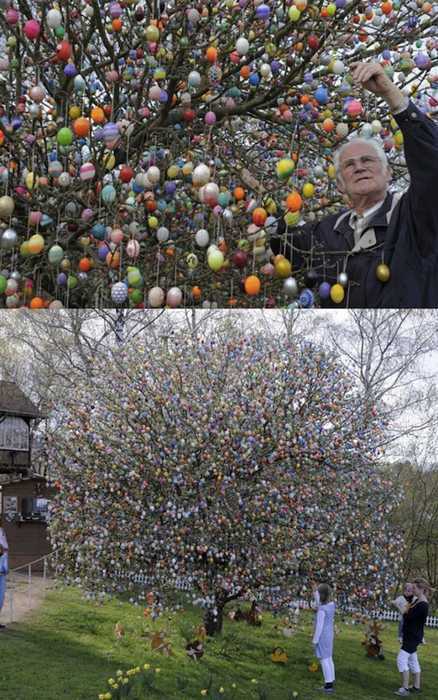 Large Easter trees create impressive front yard and backyard designs, surprising kids and adults with unusual and bright home decorations. 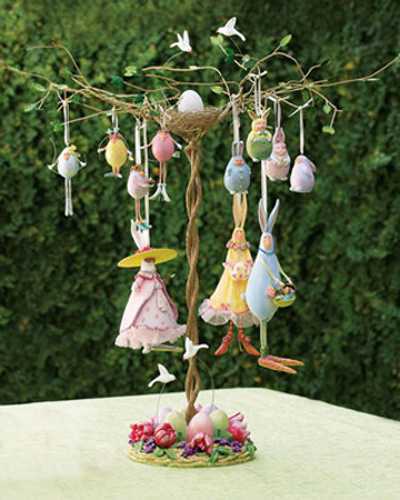 Small and large Easter tree designs adorned with Easter eggs and handmade ornaments, like birds, bunnies, eggshells, flowers or butterflies, are beautiful green Easter ideas that prepare your home to celebrate this important spring holiday in eco style. 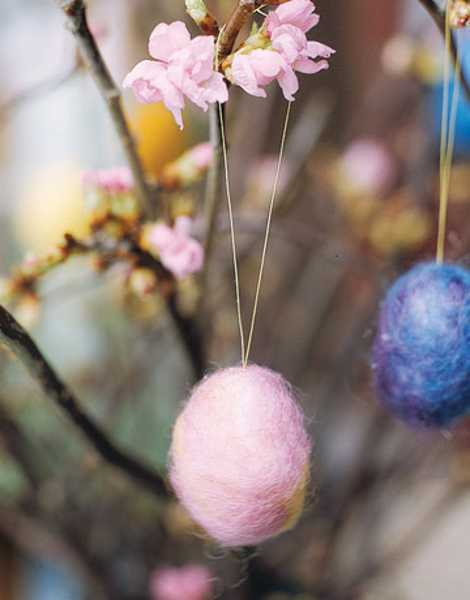 Whether you are having guests over for a party or want to create an original and attractive seasonal look around your home and outside, Easter trees are perfect craft ideas for spring decorating. 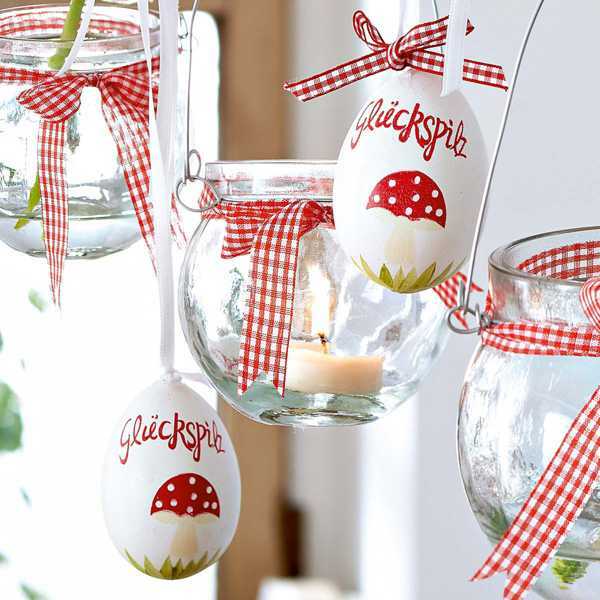 Outdoor spring decorating is fun, especially when you spend time with kids, creating unusual handmade home decorations for outdoor rooms or garden. 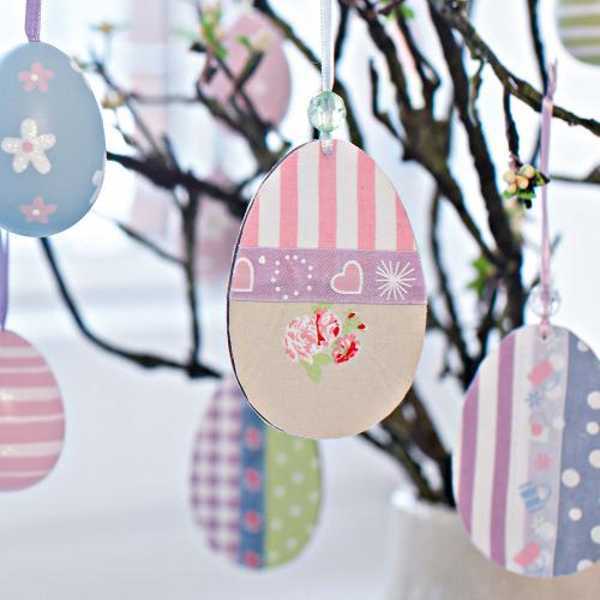 Colorful Easter egg decorations and handmade Easter ornaments are a cheap, creative and eco friendly alternative to commercial Easter decorations. 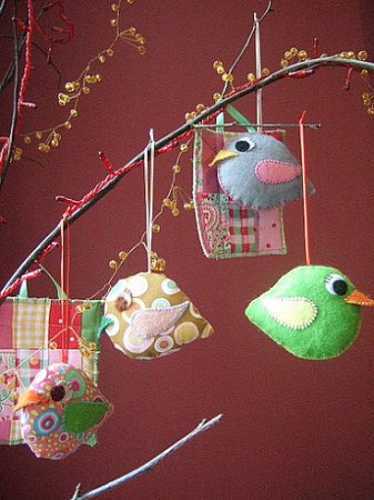 You can hang colorful eggs, birds and bunnies, flowers or butterflies from trees and design giant outdoor home decorations in spring. 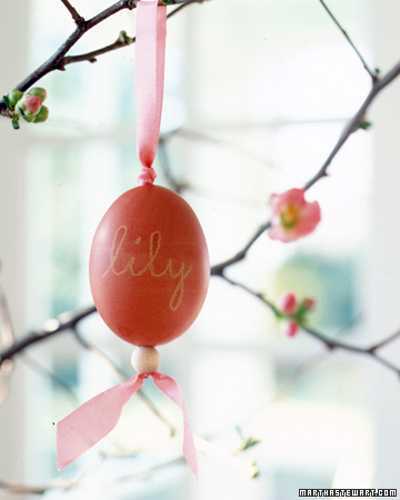 A religious or just cheerful, spring-like, colorful theme helps design unique Easter tree decorations. 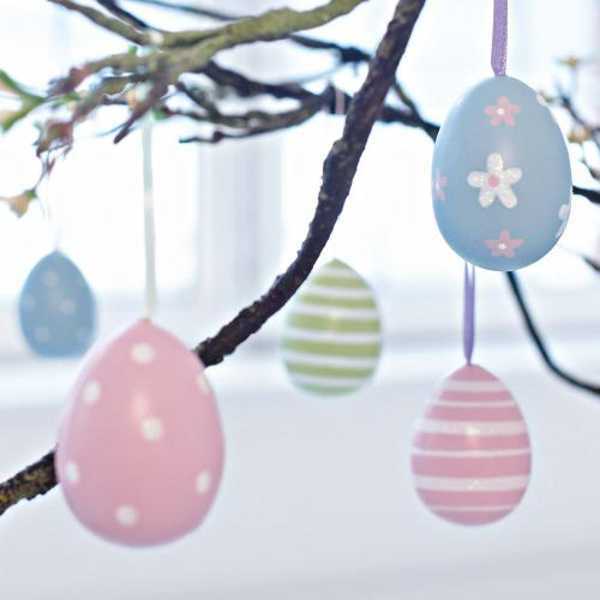 When you think about Easter tree decorating outside, consider the fact that some items can be easily damaged with wind, participation and morning dew, or easten by animals and birds. Follow safety precautions if using lights and electrical decorations, and create a safe and bright Easter tree on your yard. 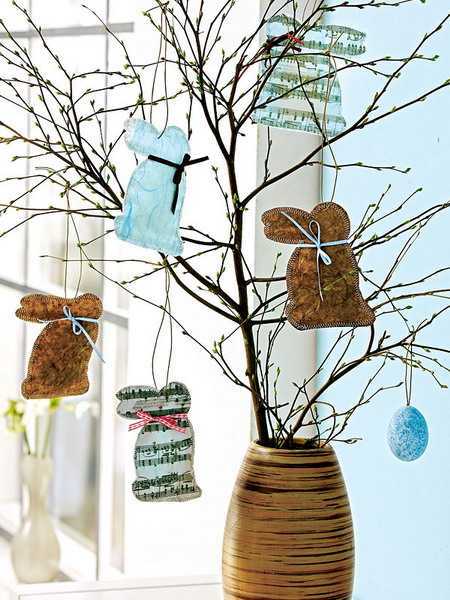 Small Easter trees are wonderful home decorations for your spring rooms. 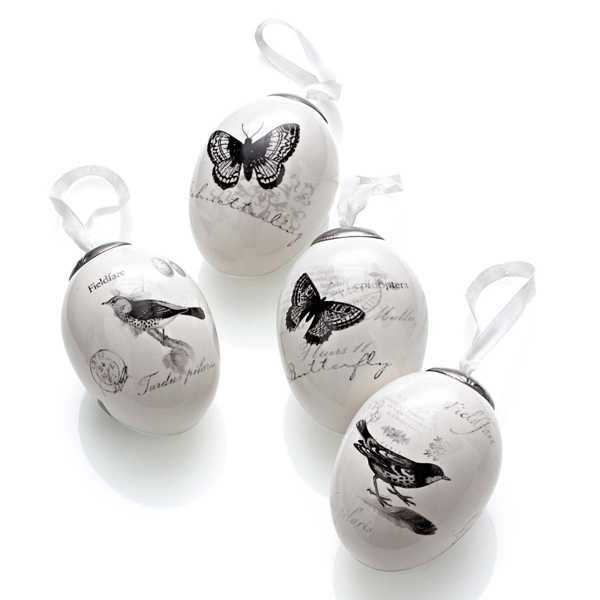 Easter themed ornaments and empty eggshells, Easter cookies and chocolate eggs, birds and bunnies, flowers and butterflies, – all handmade crafts created with natural materials make ideal decorations for your Easter tree and add elegant, personal and eco friendly style to rooms and holiday tables. 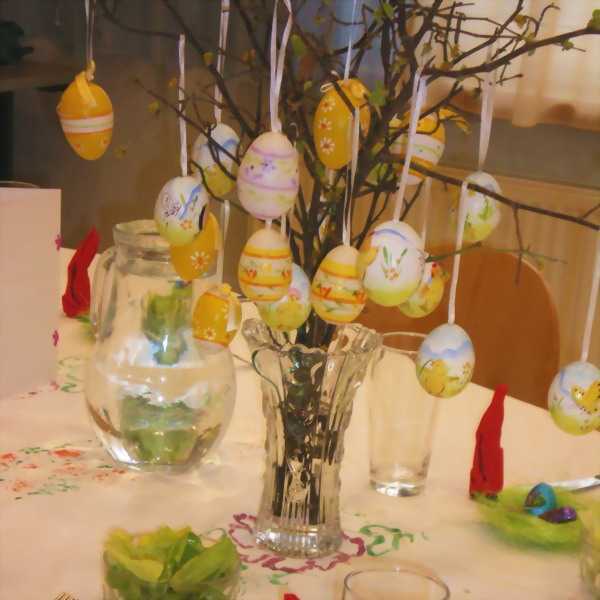 Paper mache eggs with Easter ornaments and small toys, like wooden or made with natural fabrics birds and bunnies, flowers or butterflies, bring Easter theme into your spring home decorating and turn your Easter tree into an amazing centerpiece. 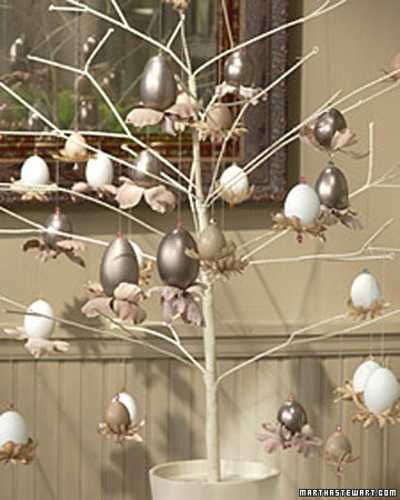 Your family Easter tree with personal photographs and favorite kids toys are another great idea for Easter decorating on a budget. 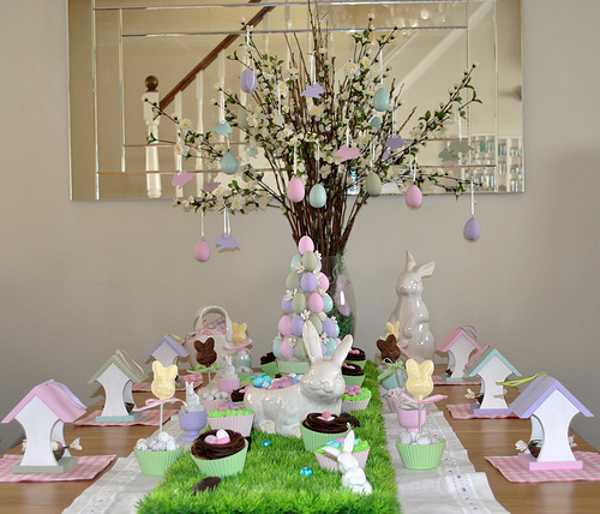 Easter trees make fantastic centerpieces for spring holiday tables. Easter dinner is an important event for many families. 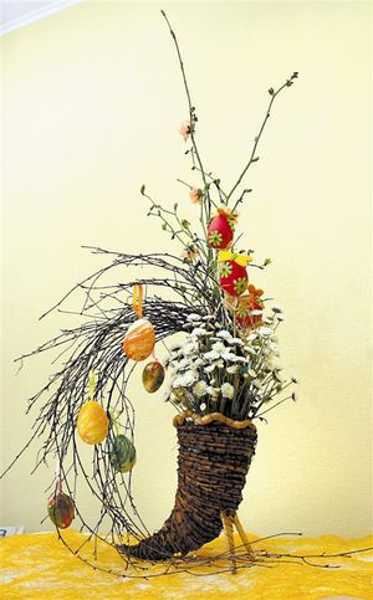 Delicious Easter meals and treats add fun to spring holiday celebration, so creating a table centerpiece that makes a lasting impression is a fabulous idea. 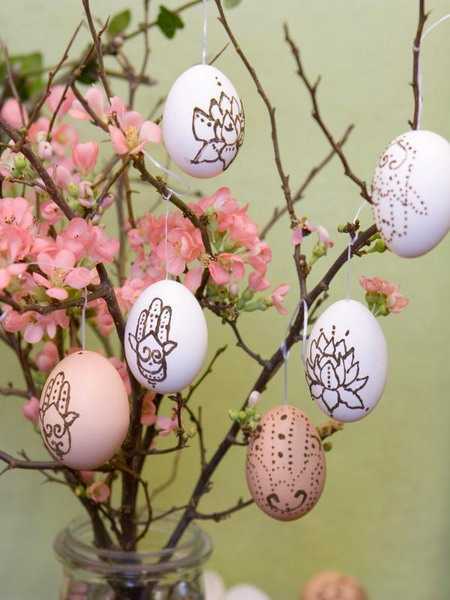 Interesting and original Easter tree designs will personal and unique decorations will spice up your spring holiday decor, surprise your guests, impress kids and make everybody smile.